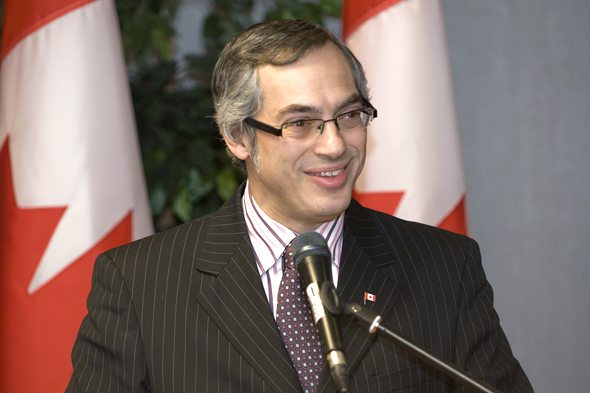 Minister of Federal Economic Development Northern Ontario Tony Clement. Photo courtesy of Industry Canada. Conservative Party leader Andrew Scheer has said new information shows the indiscretions may not be an isolated incident. Social media commenters weren’t surprised to hear Clement was caught up in a sexting mess. Claire McWatt, former chair of the youth cabinet, posted a thread on Twitter detailing her experiences with Clement. Clement’s social media accounts have been quiet since the news broke. Before Question Period today, Scheer dodged questions about the potential of Clement running under the Conservative flag in 2019. “Right now in the short term, we’re focusing on the fact he’s no longer a member of our caucus,” Scheer told reporters. Deputy party leader Lisa Raitt has assumed Clement’s shadow minister role until a new minister is named.